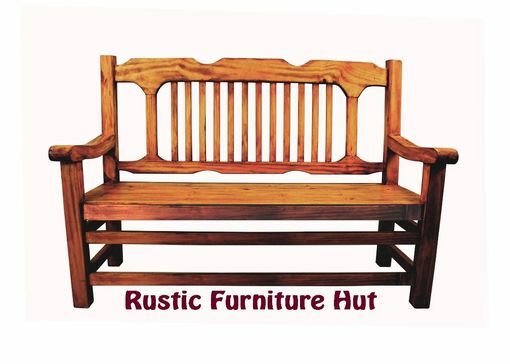 This handcrafted solid wood bench features a rustic ranch style, and it is available in a number of sizes, decorative options, and custom finishes. The bench is skillfully constructed using traditional joinery techniques that will ensure long-lasting beauty and durability. We make each bench entirely by hand; so no two will look exactly alike. The finish is also completed by hand, which only adds to the individual characteristics and charm of these one-of-a kind rustic benches. NOTE: Shipping charge will be based on the bench size/weight and the delivery zip code. Please contact us with any questions.